Harvey J. Kliman is currently a Research Scientist in the Department of Obstetrics and Gynecology at Yale University School of Medicine, as well as the Director of its Reproductive and Placental Research Unit, with a special interest in infertility and pregnancy complications. He has over thirty years of anatomic pathology training with particular emphasis in electron microscopy, immunohistochemistry, endometrial and placental pathology. 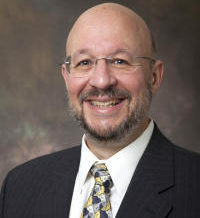 Dr. Kliman has over ten patents, including the patent for the Endometrial Function Test® (EFT®)—“The soil test for the endometrium®” and “Method and system for determining placental volume.” His contributions in the field of placental research include the development of the “Kliman” method of trophoblast purification, research into the mechanisms of trophoblast differentiation and invasion, the role and genesis of syncytial knots, the discovery of fetal fibronectin, and more recently, the clinical utility of abnormalities in placental villous growth patterns, especially trophoblast invaginations and inclusions, to diagnose genetic abnormalities in pregnancy, including autism. In addition to an M.D., Dr. Kliman has a Ph.D. in cellular biochemistry from the University of Chicago.